Hi there! Secretary Kelly here to bring you a review of something a little different than quilting: BurdaStyle Sewing. Have you ever wanted to sew your own clothes? 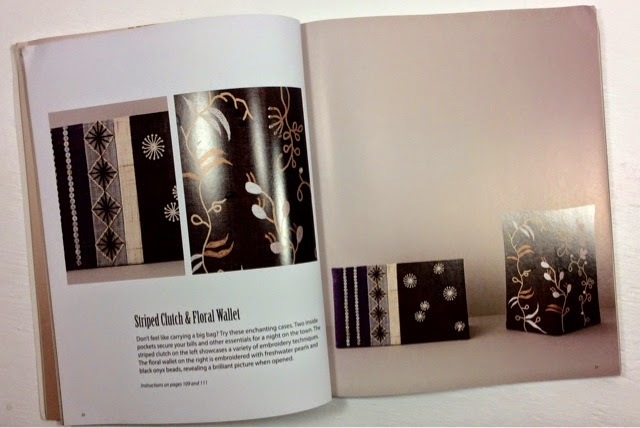 Have you seen all the amazing garment fabrics being produced by our favorite quilting fabric designers? Rayons, lawn, knits--they are all ripe for clothes sewing! 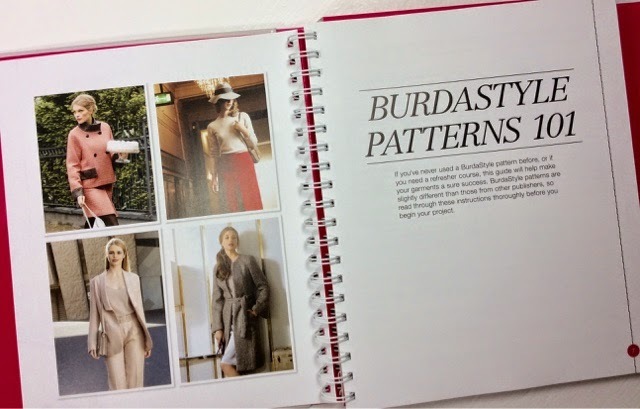 In this new release from BurdaStyle the book takes some of the confusion out of Burda patterns and explains construction steps with how-to's and diagrams. 15 projects are included, from a simple peasant top to a more advanced yet classic twill blazer and trousers. The designs are all very classic and could be interpreted over and over. 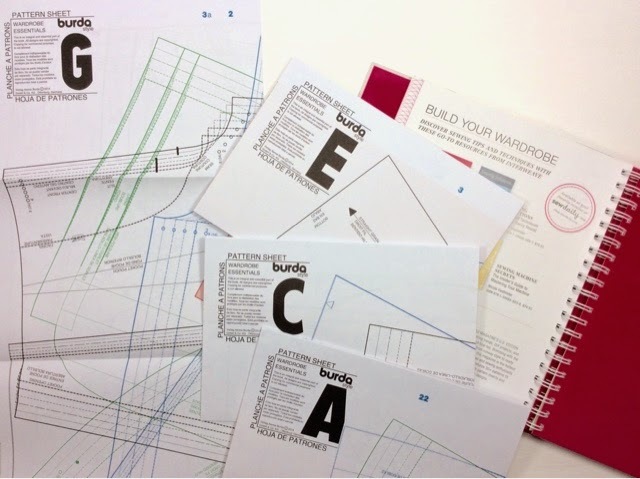 The book comes with a set of full printed patterns ready for tracing onto pattern paper. 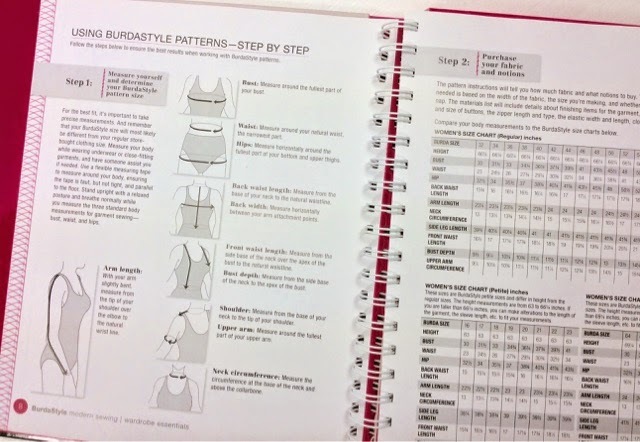 Also useful is the step-by-step section on how to use the patterns, answering questions like like what size am I, what do all these crazy symbols mean, and how do I match up directional fabric? I learned how to sew clothes before I started quilting, and yet I am still feel like a beginner. 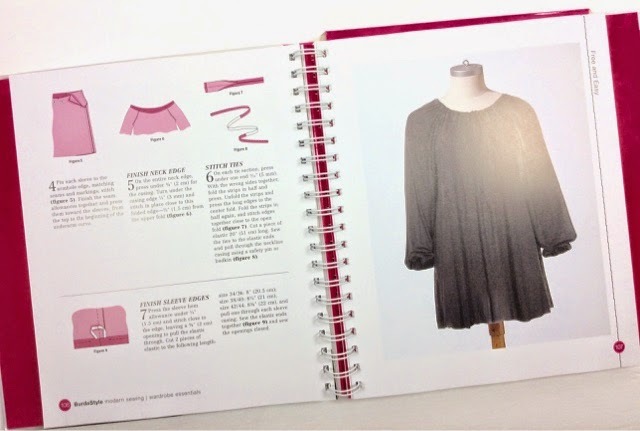 I think this book would be perfect for someone who has some garment sewing experience and wants to push their skills further. Thank so much to F&W media for sending us this book! I hope who ever wins it at our upcoming meeting finds a new handmade wardrobe waiting for them inside! Hello, Kelly here! 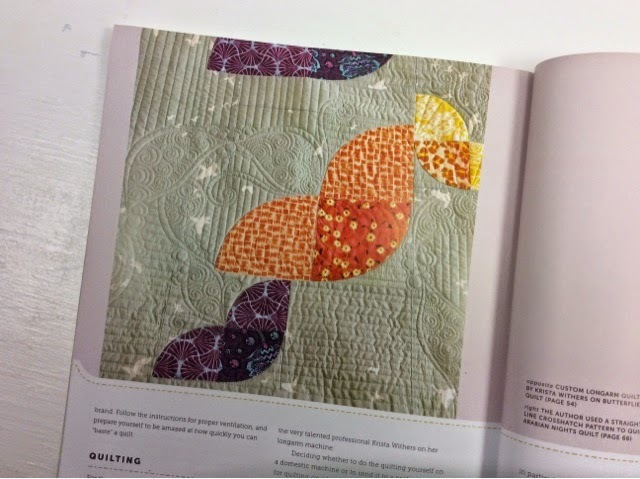 I had the pleasure of perusing the quilting book Sunday Morning Quilts, published in 2012. This book is proving to be a go-to classic. 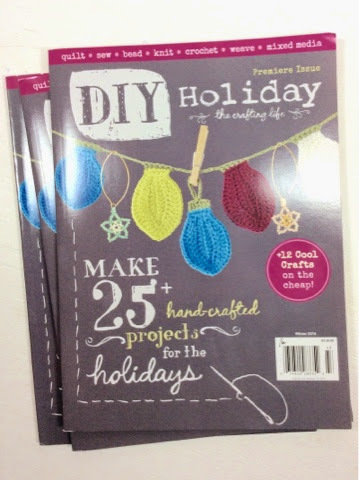 One lucky PMQG member will win a copy at Thursday's meeting! Authors Amanda Jean Nyberg (Crazy Mom Quilts) and Cheryl Arkison work together to make simple and beautiful scrappy modern quilts. In addition to the quilts, the ladies detail their sorting and storing methods for scraps, including making a set of color coded scraps baskets! 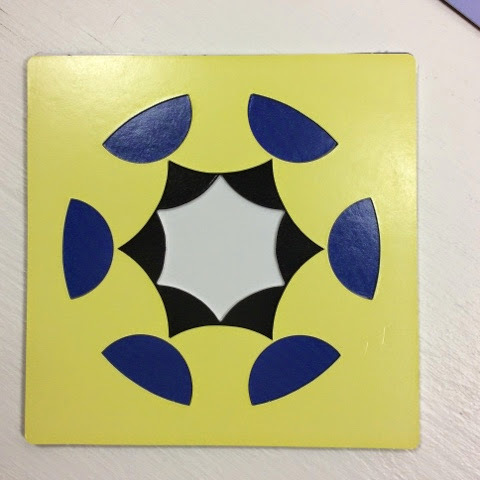 This is little project is on my to-quilt list. 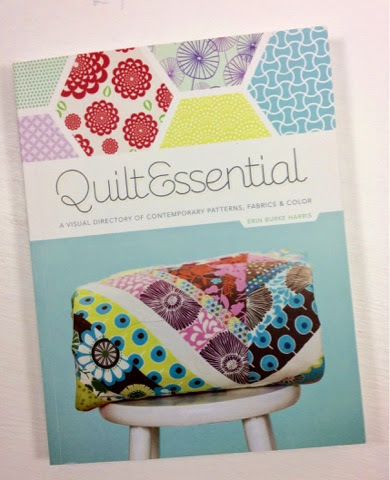 I know why this book is classic: beautiful quilt photos, practical quilting advice and straightforward quilt patterns to follow. Plus the ladies are just nice. Good Luck in the raffle tomorrow evening! 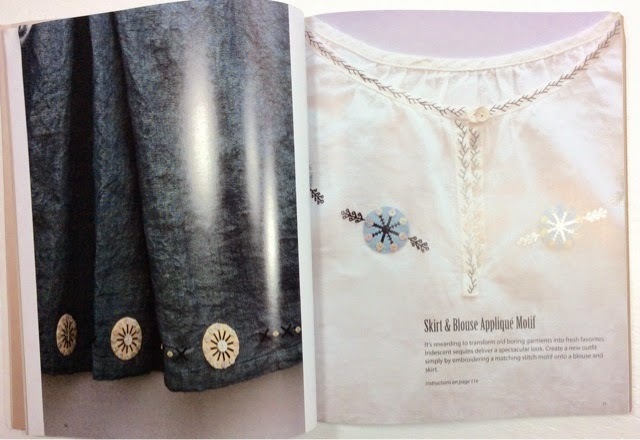 I recently had the chance to take a look at Angela Walter's newest book, Free-Motion Quilting Workbook. 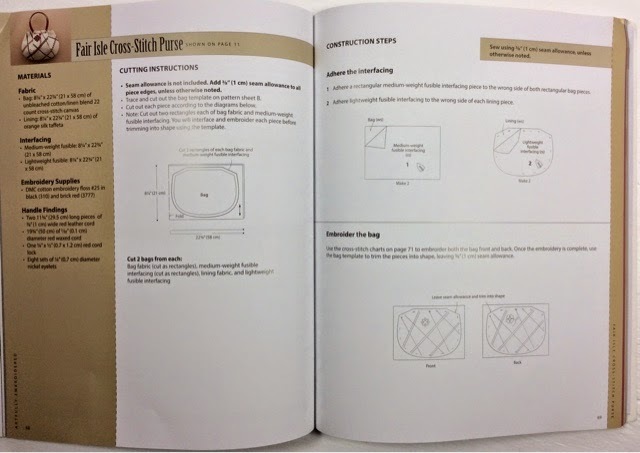 This book is part quilting tutorial, part sketchbook to practice what you're reading. 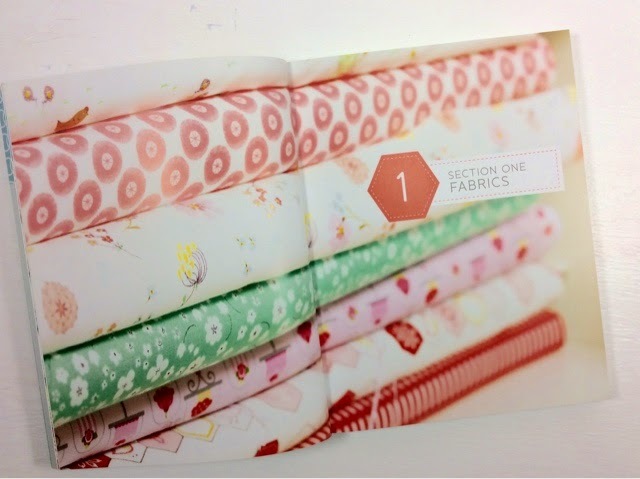 I love checking out free motion books because I'm not much of a free motion quilter, but I would like to be. What every book will tell you is draw, draw, draw, and then practice, practice, practice! 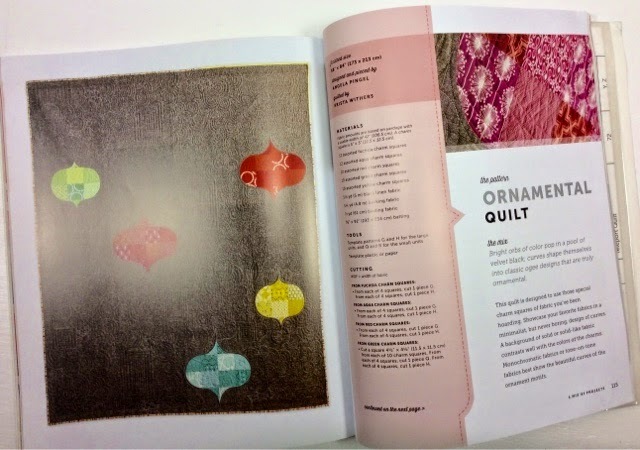 Angela's workbook reinforces the "draw" commandment with pictures of her sketches next to pictures of the quilted version of those sketched designs. It's really fun to see the drawings come alive in thread! 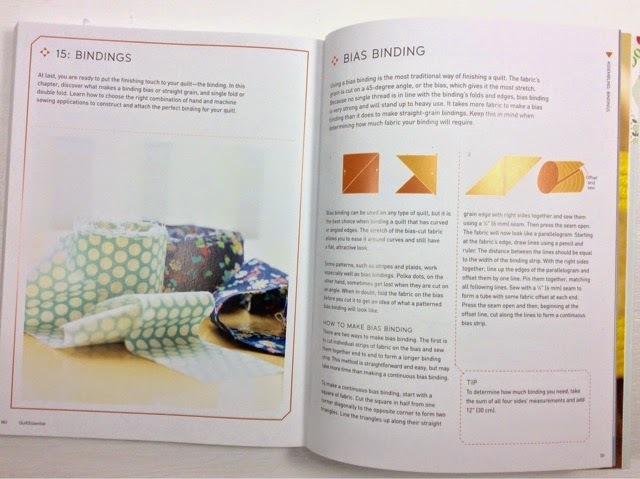 Each chapter of the book gives insight on how to quilt something specific--borders, negative space, and blocks all make an appearance, and at the end of each chapter there are a few pages of graph paper to practice on. The book closes with several pages of pictures of Angela's beautiful quilting and then the back of the book includes more blank graph paper pages. 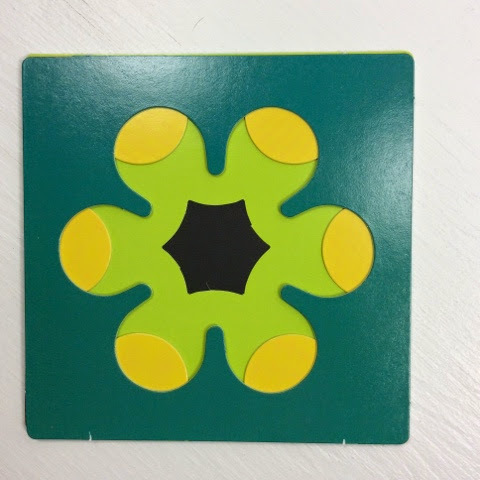 Over all, Free-Motion Quilting Workbook seems like a solid book to help improve your free motion skills with hands on practice and useful tips. Oh, and the book is spiral bound, which makes it much easier to maneuver when you're drawing in it, I love that detail! 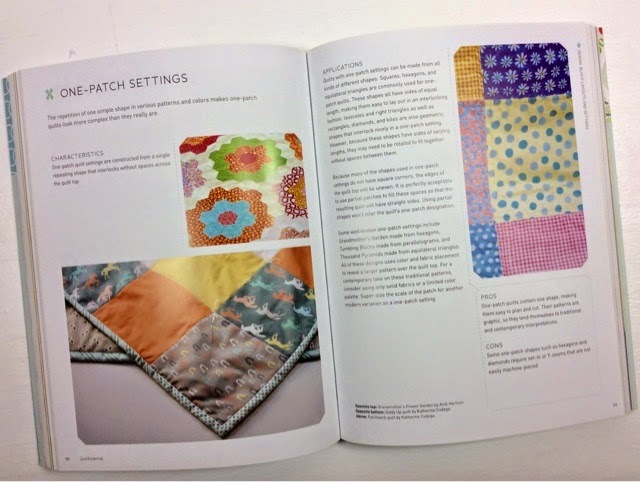 PMQG would like to thank Stash Books/C&T Publishing for donating Free-Motion Quilting Workbook as well as two other Angela Walters titles: In the Studio with Angela Walters and Free-Motion Quilting with Angela Walters. All 3 books will be given away in our door prize raffle at July's PMQG meeting! Good luck! 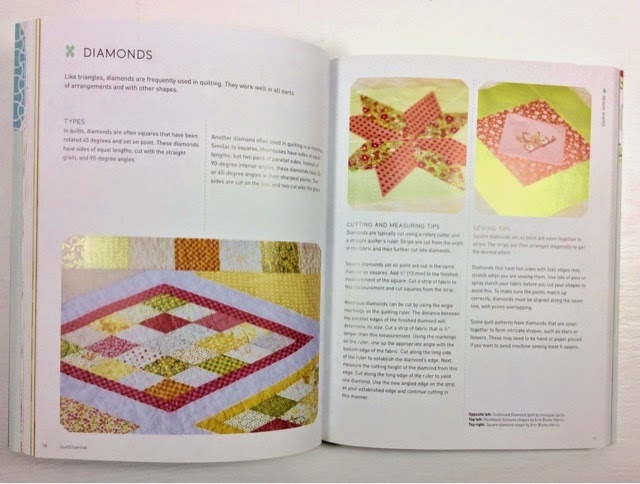 First, a big thank you to Martingale publishing for generously sending us Modern Quilts from the Blogging Universe to review! If any of you are like me, you follow quilting blogs. Perhaps more than you can keep up with! 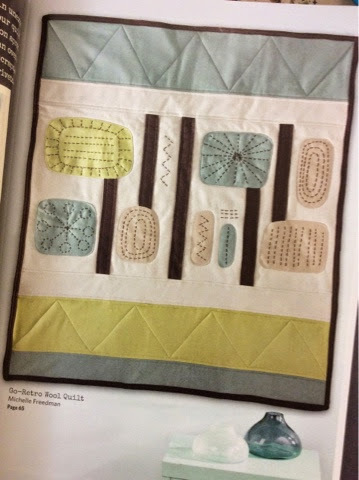 When I first heard about the book Modern Quilts from the Blogging Universe, I was really excited! Before I received it in the mail my thoughts were running along the lines of how cool it would be to own a book with patterns, saving so much time figuring out math. However when I opened it, saving time doing math was the last thing on my mind. All I wanted to do was get started making so many of these quilts! As in, drop everything I had on my plate and start a whole slew of future WIP’s right then and there. 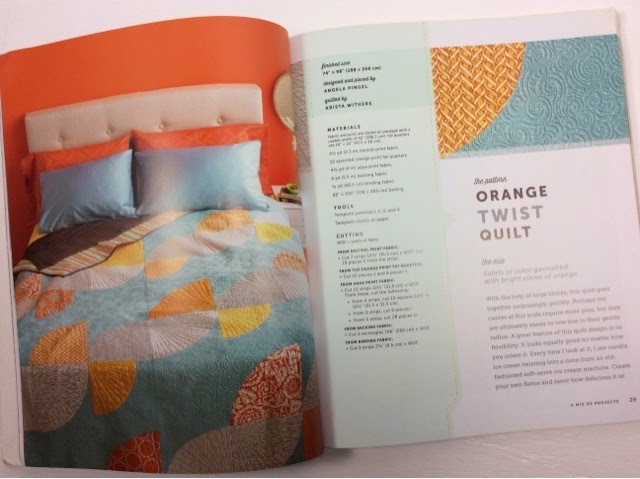 The idea of featuring bloggers resulted in the unique compilation of quilts with completely different aesthetics. 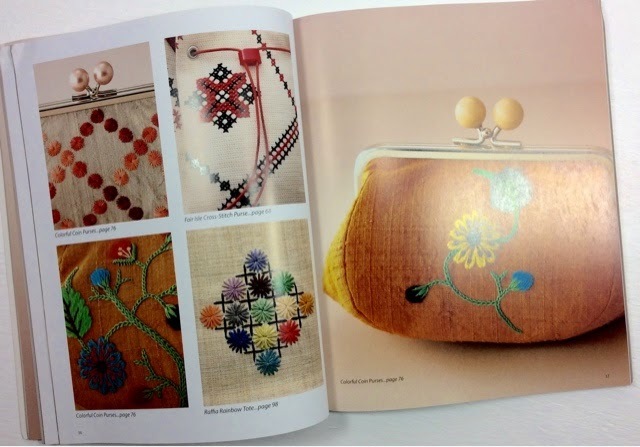 Anyone picking up this book can find a quilt they love and want to make. The layout is well thought out being bright, clean and colorful! 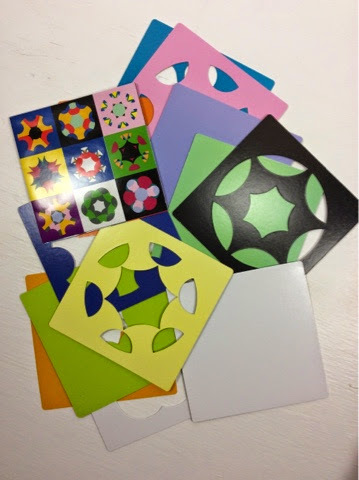 All Patterns are clear and the instructions well written with full color diagrams. Some even templates while others have tips and tricks. In summary as one person put it “bloggers are an excellent resource for ideas and inspiration”. Hopefully (ahem Martingale!) 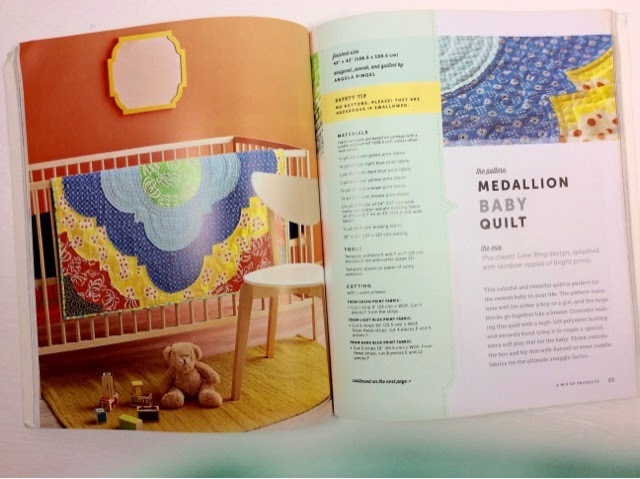 this is the first of many volumes showcasing the beautiful quilts from bloggers around the world! One lucky winner will get to take home this great book tonight at our Guild Meeting!